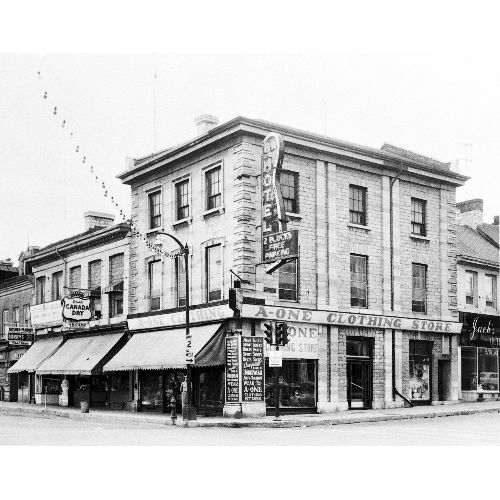 In 1937, Joseph and Bertha Geller opened a bakery in this handsome stone building, constructed as a dry goods store in 1847 at the corner of Princess Street. The Geller bakery grew into a grocery store, which in turn became a ready-to-wear clothing store. Its ownership was eventually passed down to the Geller’s daughter Libby and her husband Bernard Tenenhouse. In 1978, Libby opened up a women’s retail store, Casual Touch, which is located at 62 Princess Street. At present, Libby’s son Michael runs A-One.